In Podcast 241 we announced that we would like you to send in your studio build stories but we couldn't say what the prize was going to be. 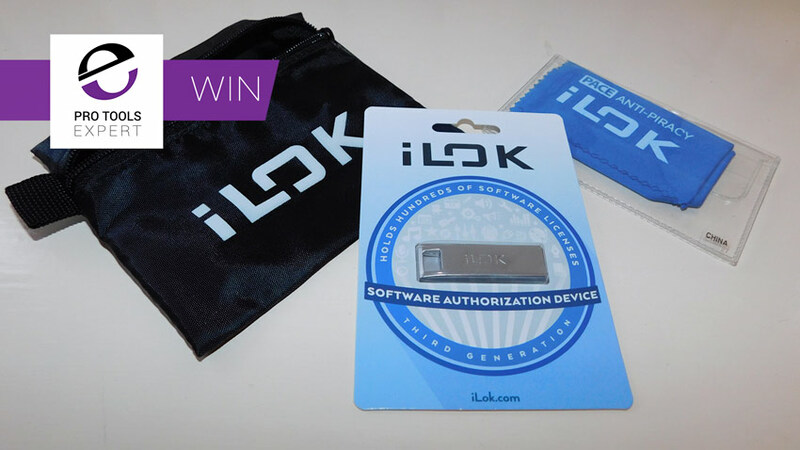 Now that the 3rd generation iLok has been announced we will be offering a limited number of prize bundles, each made up of a new iLok3, an iLok pouch, and an iLok lenses cleaner. We have been sharing our studio build stories and experiences and we would like to invite you to send in your stories. To give you an idea of what we are looking for, below you can see the stories that Russ, Mike, James and Dan have already shared. Have a read of our stories and then if you have a story to share then get in touch with us via the Contact Us page on the site. It doesn't need to be as detailed as our articles but we are looking for articles that describe your own experiences building a studio and should include pictures too please. We will read them all and we will publish the ones we like and each week we will select one to win the iLok3 prize bundle. In part 2 of this series on DIY studio acoustics we got deep into spreadsheets and calculators to help us get a balanced acoustic treatment that didn't favour one or more frequency bands over any other. In this part we will take a look at how I handled the difficult issue of ventilation and cooling. Studio And Acoustic Design. Acoustic Treatment - What To Use And How Much. In the first part in this series I started to share how my current studio was designed and built, learning from previous mistakes. In this article we are going to delve into the maths of acoustics and get deep into spreadsheets. Dan wrote a brilliant article outlining the basics of acoustic treatment and sharing his story and experiences with his various studios. Following on from Dan's article, I am going to share my experiences and the techniques I have used for my current studio starting with the floor and ceiling. When 5 tonnes of pre milled and sawn timber arrives on your drive what do you do with it. Well you "crack on" and turn it into a studio. Believe it or not the walls, windows, door and roof all when up in 1 day with just my wife and I doing the building. As most of you know my studio is a wooden out-building at the bottom of the garden in my sunny corner of South East London. What many of you do not know is that I built this place from the ground up. In fact one of the main reasons my wife and I bought the house we live in is because of the space for my studio. But it didn't always look so pretty. We've spent several weeks with Russ sharing the story of his home studio build. Over 8 parts he has unpacked his journey from the vision to the final result and in this article, Mike, Dan, James and Paul all give their verdict on if the studio fits the brief. They say it's the small things that can make the biggest difference and I tend to subscribe to this philosophy, when it came to the final fittings in the studio this was where those small touches could make a big difference. With some common sense thinking about the construction, plus taking advantage of some great products now available at remarkable prices, it's not hard to build a reasonable sounding studio for recording and mixing at home.